Perfect for couples, small office parties or an intimate gathering of friends. We are open to special requests, which can be added at cost. We have a list of special ingredients available should your imagination need any help! What Do We Take Home? All of our packages, gift bags and classes have fully kosher options. Please enquire with any questions or for more details. For corporate events, please visit our Corporate page. For non-profit groups and personal events, please contact us for pricing. Gift Bags can be purchased separately on our Gift Baskets page or included in an event package. 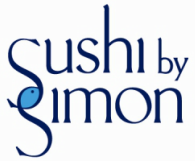 Sushi by Simon is a New York City Sushi Making Class company. Our main offerings include: private in home instruction by a NYC Sushi Chef with lessons on how to How To Make Sushi in NYC, and a selection of Sushi Gift Sets and baskets for friends and family.